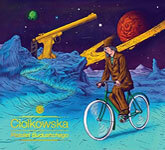 "Pistolet Budushchego” (aka “Pistol of the Future”) is a debut album by the psychedelic rock combo CIOLKOWSKA. It was performed and recorded live at the Dobrolet Studio by Yegor Svysokikhgor (guitar, voice), Alesya Izlesa (ukulele), Ivan Moiseev (bass, voice), and Kirill Tsarkov (drums, electronic percussion). The album presents mostly instrumental, well balanced sci-fi music at the intersection of psychedelic space-rock and experimental post-prog-rock, accompanied by the short voice-narration in Russian. Recommended for lovers of deviant and space-out instrumental rock adventures. (8 tracks – 64 min.). Free streaming or immediate digital download of the album (MP3, FLAC or other formats) is available through Official R.A.I.G. Bandcamp. 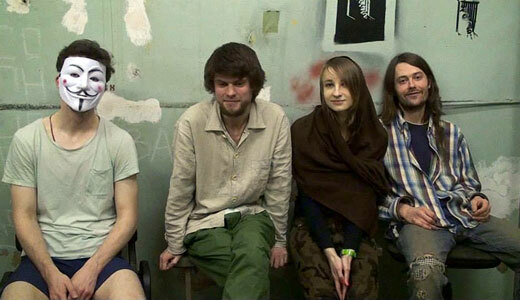 "Ciolkowska have a flair for melody and a great combination of rhythmic pulse and hypnotic deep space drift. The musicianship, recording and production are excellent. The music is mostly instrumental with some vocals in Russian. If you like ethnic flavored Space/Psych Rock than you’ll surely dig Ciolkowska. Recommended!" – by Jerry Kranitz at Aural Innovations (USA) (December 2015). More reviews: New Underground Music (The Netherlands), Babyblaue Seiten (Germany), Musikreviews.de (Germany), Streetclip.tv (Germany).